Our portfolio is the outcome of a focused strategy to acquire high quality assets in Africa through early entry into emerging or under-developed regions with potential for significant discoveries. Current activities include exploration, appraisal and development projects. 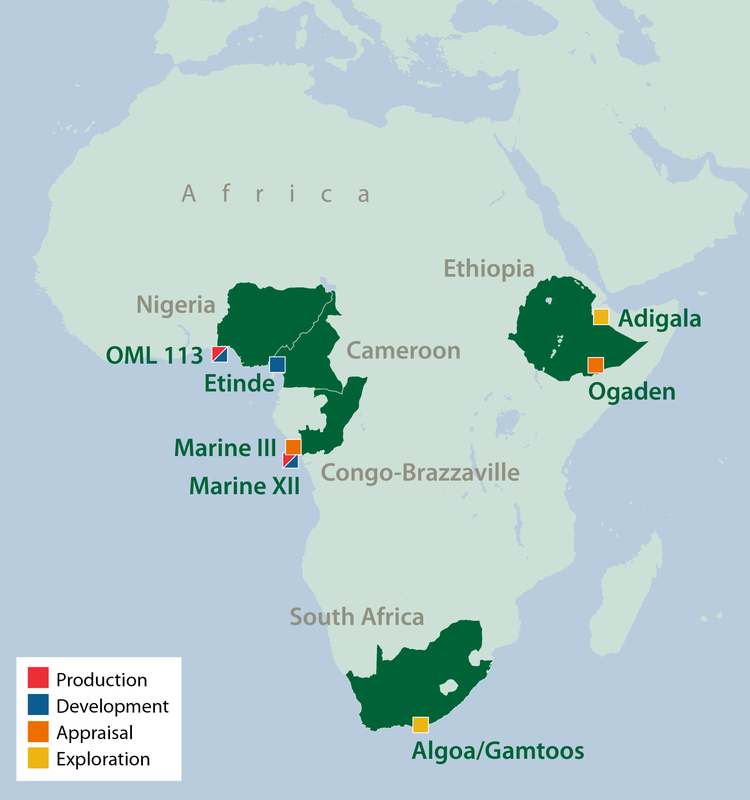 First production from Congo Brazzaville was achieved at the end of 2014 and the Aje field in Nigeria has been in production since May 2016.